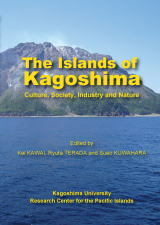 Welcome to Research Center for the Pacific Islands, Kagoshima University !!! 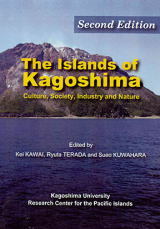 The KURCPI (formerly the Kagoshima University Research Center for the South Pacific, KURCSP, 1988-98) is a research institute which aims to promote interdisciplinary studies on islands and island-zones in Oceania and its surrounding regions. Dr. CHO, Sung Youn came to this center as a visiting professor from Department of Sociology, Jeju National University, Republic of Korea. He will stay here until 19 March, 2018. His research theme is: Koreans of the South Sea Islands: The Japanese Community in Yap Island and the Adaptive Strategy of Koreans. His major is Sociology. Dr. PAPOUTSAKI, Evangelia came to this center as a visiting associate professor from UNITEC Institute of Technology, New Zealand. She will stay here until 15 December, 2017. 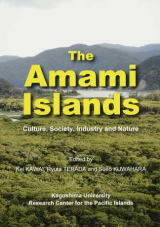 Her research theme is: Mapping the Communicative Ecology of the Amami Islands. Her major is Social Science. Dr. SALI, Gary came to RCPI as a visiting associate professor from Papua New Guinea University of Technology, Papua New Guinea. He will stay here until 24 March, 2017. His research theme is: The Intriguing Challenges of Crime in Papua New Guinea. His major is Sociology. Dr. HAYWARD, Philip Roy came to RCPI as a visiting professor from Southern Cross University, Australia. He will stay here until 28 October, 2016. 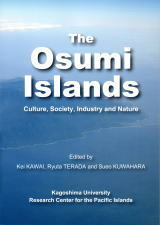 His research theme is: Japanese Island Festivals as Cultural Affirmations and Tourism Attractors. His major is Interdisciplinary Island Studies. Dr. ROYLE, Stephen Arthur came to RCPI as a visiting professor from Queen's University Belfast, UK. He will stay here until 25 March, 2016. His research theme is: The Island Edge of Empire: Islands and Geopolitics in the Pacific Far East in the Late-19th Century. His major is Island Geography. Dr. GIRSANG, Wardis came to RCPI as a visiting associate professor from Pattimura University, Indonesia. He will stay here until 18 September, 2015. His research theme is: Sustainable Food Security Management in Small Islands. His major is Rural System Management. International Symposium "Challenge of Integrated Disciplinary Research -Natural Resources Use by People in the Pacific Islands-"
Dr. MOUSOURAKIS, Georgios came to RCPI as a visiting professor from University of Auckland, New Zealand. He will stay here until the end of March, 2015. His research theme is: Approaches to Conflict Resolution in Countries of the Pacific Region: A Comparative Study. His major is Law. Dr. CHUN Kyung Soo came to RCPI as a visiting professor from Department of Anthropology, Seoul National University. He will stay here until the end of October, 2014. His research theme is: Reconsidering the Kuroshio Culture: Biocultural perspectives. His major is Cultural Anthropology. Dr. LEE, Yoon Sun came to RCPI as a visiting professor from Institution for Marine and Island Cultures, Mokpo National University. He will stay here until the end of February, 2014. 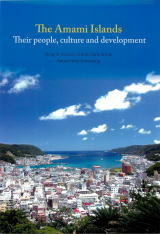 His research theme is: Folk songs, folk dances, and rituals in Amami-Oshima. His major is Folklore. Dr. Herman HIDAYAT came to RCPI as a visiting professor from Indonesian Institute of Sciences. He will stay here until the end of March, 2013. His research theme is: Comparative studies on forest conservation in Japan and Indonesia. His major is Forest policy. Prof. Henry Johnson came to RCPI as a visiting professor from The Otago University on 18 June, 2012. He will stay here until October 31. His research theme is: Transmitting Taiko within, Between and Beyond the Japanese Nansei Islands. His major is Ethnomusicology. Dr. Zoarder Faruque AHMED came to RCPI as a visiting professor from The Bangladesh Agricultural Universit. He will stay here until the end of March, 2012. His research theme is: Ecosystem-based sustainable development and responsible management of some commercial fish species in south islands of Japan. was held in Bogor, Indonesia, on 23th June 2011. Dr. Wadan Lal NARSEY came to RCPI as a visiting professor from The University of the South Pacific. He will stay here until the end of November. His research theme is: Quantitative poverty analysis for Fiji, Tuvalu, Solomon. Field Survey in Micronesia !
" Irosin Drilling Project Meeting"